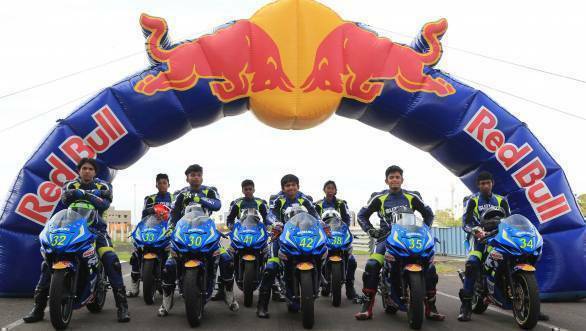 The second edition of the Red Bull Road to Rookies Cup will be part of the 2017 Suzuki Gixxer Cup. This time, riders between the ages of 12 and 16 will fight for the opportunity to be a part of the Red Bull MotoGP Rookies Cup 2017. In order to make it to the Road to Rookies Cup, selection rounds will be held across four zones of the country. The selection will begin in Bangalore, for the South zone, with a selection round being held at Meco Kartopia in Bangalore on the 4th of June. The selection for the East zone will happen at the Airstrip in Aizwal on the 10th of June, followed by the West zone selection at the IndiKarting track in Pune on the 18th of June, with the North zone selection being held at the Greater Noida World of Wonders on the 25th of June. 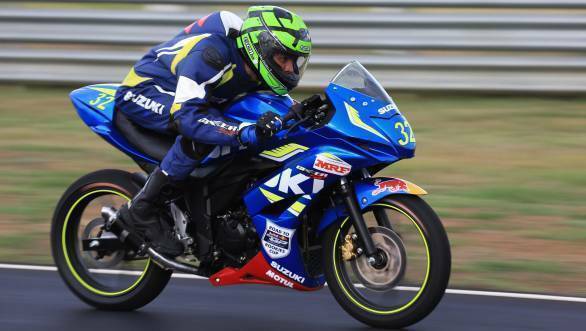 The selected riders will then compete in the JK Tyre Presents Suzuki Gixxer Cup 2017, that will be held over three rounds, all of which will happen at the Kari Motor Speedway in Coimbatore. The dates for the rounds are 7-9 July, 4-6 August, and 1-3 September. The winner of the championship will then go on to participate in the Rookies Cup 2017 in Spain. Last year Sachin Chaudhary from Ahmedabad went to Spain to be part of the shootout, and while he didn't make the cut, he came back with knowledge aplenty about how to ride a race-spec Moto3 machine. Speaking on the occasion, Satoshi Uchida, managing director of Suzuki Motorcycle India Private Limited said, "We are extremely pleased to announce our tie up with JK Tyre to conduct the Suzuki Gixxer Cup 2017. This partnership between two pioneers can only lead to great things for Indian Motorsport. We are also equally happy to announce our continued partnership with Red Bull for the Road to Rookies Cup for a 2nd year running. We look forward to another exciting year of racing and are confident that we will raise the bar even higher this time!"